Most cell phone manufacturers will still not put out a cell phone model that is designed for seniors and the elderly that is simple and easily use. Wireless providers also do not demand cell phone models designed for the elderly from the manufacturers. For a cell phone company to have products branded as the "seniors cell phones" or they themselves being labeled as the "old people's cell phone company" is a death warrant in the cellular industry. The fact is that seniors and the elderly, at least the kind that need special simple and easy to use cell phones, are not the customers the cell phone industry is targeting. The real money in the cell phone industry continues to be made in data, media, and apps. The kind of features that seniors and the elderly who want simple and easy to use cell phones will not be using. The below are some simple and easy to use phones that are intended to be used by seniors and the elderly. The phones are mainly developed by smaller companies seeking to fill a market void. We sell no products on this website but assume this is helpful information if you are in the market for a simple and easy to use cell phone for a senior or elderly person. There are many people who simply want to use their cell phones for calls, period. These individuals range from college students who frequently lose or damage their phones to first-time buyers to senior citizens and the elderly whose kids or grandchildren want them to use a cell phone. Some years ago, GreatCall Inc. introduced its Jitterbug cell phones to provide simple cell phone solutions for seniors and the elderly. 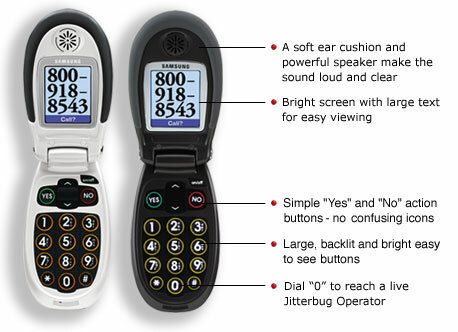 The Jitterbug cell phones offer the following features for seniors and the elderly: large keys, a free operator service and the phone's own number prominently displayed under the screen. And, unlike other cell phone companies that offer cell phones to seniors and the elderly, Jitterbug cell phones offer no contracts, no fees to switch or cancel, no long distance and no roaming fees. 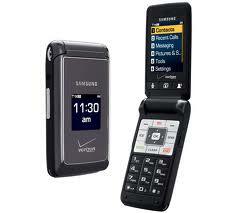 Jitterbug cell phones come in two models for seniors and the elderly: the Jitterbug J, a flip phone and the Samsung SCH-r100. The free operator service can be reached from Jitterbug cell phones by pressing "0" on the dial phones or “operator” on the one-touch phone. This operator greets users by name, places calls on the user's phone (saving you the trouble of dialing) and can add numbers to a phone's contact list if a user doesn't want to or can't do this. The Jitterbug cell phone is comfortable to use for longer phone calls because of its cushioned earpiece, which blocks out external sound and helps the phone rest easier between your shoulder and ear during conversations. Additionally, it can be pre-programmed with up to 50 names and numbers, a feature that new cell phone owners will find valuable. NEW Jitterbug J Cell Phone: Easy to Use. Affordable Plans Start at ONLY $14.99. Personalized Service. Live 24 Hour Assistance. GreatCall offers AFFORDABLE, NO CONTRACT, EASY-TO-USE cell phones with plans starting at just $14.99. Buy now and get 4 FREE Apps! With an extra battery in hand, you’ll have peace of mind if you ever run out of power for your Jitterbug cell phone for seniors and elderly and your charger is not available. This extra rechargeable battery provides five more hours of continuous talk time and is available in graphite, white and red. Jitterbug cell phone for seniors understands that taking medication is a part of daily life and shouldn’t be a difficult task. With their award winning Medication Reminders service, the senior or elderly person can easily follow their medication schedule as prescribed by their doctor. A friendly phone call will remind the senior or elderly person to take their medications, at the correct time of day. We can even connect the senior or elderly person to their pharmacy for prescription refills. Track progress and make changes to the reminder schedule online. Get help in any situation, 24/7. 5Star Personal Security provides simple, immediate access to our highly trained response team who can assist the senior or elderly person with any situation, concern or emergency, 24 hours a day. Whether you’re lost in an unfamiliar part of town, walking in a parking lot at night, or experiencing a medical issue, 5Star Personal Security can help. When you simply press 5 and * on your keypad, a trained Response Agent can quickly identify the senior or elderly person's location and will have access to their Personal Profile containing critical information that they’ve already provided, like the senior or elderly person's emergency contact numbers, allergies, medications and doctor’s information. The 5Star Response Agent can send the appropriate assistance, and will stay on the phone with the senior or elderly person until their situation is resolved. With 5Star on their Jitterbug cell phone for seniors, you and your family can worry less, knowing that someone you trust is always available to help, whenever you need it. 5Star Response Agents use enhanced GPS technology on the Jitterbug phone to quickly and accurately determine your location when you call. This helpful service will call to check in with the senior or elderly person as often as you or they would like. Questions relating to pain level, appetite, overall well-being and sleep quality can be asked on each call based on the senior or elderly person's personal profile. If the senior or elderly person replies that they need assistance, or if they miss a call, we will send a notification for help to a friend or relative listed as a personal contact. Friendly automated calls up to 6 times per day. Get peace of mind and security for you and your family. Should the senior or elderly person indicate that they are in need of assistance, Jitterbug cell phone for seniors will automatically notify the people the senior or elderly person has designated as personal contacts. Registered nurses on call 24-hours, 7 days a week. No appointment necessary. Nurses document the topics discussed when the senior or elderly person calls and keep an updated file on those health topics most relevant to them. What makes the Jitterbug J cell phone a good choice for seniors and elderly? The Jitterbug J is designed to be simple for use by a senior citizen or elderly person. Jitterbug J cell phone is extremely intuitive and customizable. The senior or elderly person only sees the features they want. The lower part of the display screen, called the "Command Area", displays simple ‘Yes’ or ‘No’ questions that make using the phone very easy to use by a senior or elderly person. For example, if the senior or elderly person is using their Phone Book and the name of their friend or family member is highlighted, the Command Area will display the question, "CALL?" To place the call, the senior or elderly person would simply press the "Yes" key or use the scroll key to move to the next entry in your Phone Book, just like changing channels on a TV remote. What is the Medication Reminders app? The Medication Reminder app is a simple way to manage your prescription schedule. With this helpful service, you can easily follow your medication schedule exactly as prescribed by your doctor. Based on the needs of your schedule that you set up, you’ll receive a friendly call from us reminding you to take the right medications, with the right dosage at the right time of day. We’ve even designed this service to allow you to respond and confirm that you are on schedule. Your responses will be recorded and you can then view your progress online, and share the results with your health care professionals to ensure you’re following your medication schedule. You can also set up prescription refill reminders to receive a call when it’s time to refill a medication, and even be connected to your pharmacy. The ClarityLife C900™ cell phone for seniors and the elderly. More than just a mobile phone, this is a mobile peace of mind that gives you the freedom to stay connected with the ones you love and know that help is available wherever you go. The ClarityLife C900™ cell phone for seniors and the elderly is twice as loud as an ordinary cell phone and offers large buttons for easy dialing. Fabulous for people who have low vision, hearing impairments or clumsy fingers. In case of an emergency, get help quickly by pressing the red emergency button. For senior and elderly cell phone customers who need a larger font, Verizon Wireless has the Samsung Haven. The cell phone makes it easy to speak, hear and be heard. Featuring a slim design and large keys for easy dialing, the Haven cell phone is ideal for anyone seeking a phone that’s easy to use. One-touch access to emergency numbers, voicemail, speakerphone and voice commands offer effortless execution, and built-in lifestyle applications like reminder alarms. Family Locator lets you easily locate your senior or elderly family member's Family Locator cell phone from your cell phone or PC - in real time, at any time. Provides detailed location information and the address of your senior or elderly family members displayed on an interactive map. Receive updates when your senior or elderly family members leave or arrive at locations that you define such as restaurant, stores, or home. Provides detailed updates of your senior or elderly family member's movements right to your cell phone. Arrival & departure updates can be sent to multiple recipients via text or email. Monitored locations can be set up with 1/2, 1 or a 2 mile radius. Receive scheduled updates of your senior or elderly family member's locations. Choose the times you want to know your senior or elderly family member's locations such as at bedtime. An affordable plan targeted towards Verizon Wireless customers who are seniors and the elderly who don't use a lot of minutes each month. This plan is available exclusively to Verizon Wireless customers 65 and older. The Verizon Center for Customers with Disabilities (VCCD) offers communications solutions for customers with vision, hearing, speech, cognitive, or mobility limitations. Consultants at the centers are trained to understand accessibility issues and telecom technologies. So, in addition to routine customer service, you can learn about products and services that may enhance your life and the way you communicate. We can also provide assistance with exemptions designed to help offset high use of certain services. Center consultants are ready to help you with local phone service, long distance/toll plans, directory listings, calling services, billing questions, Braille or large print bills, High Speed Internet service and FiOS. For more information, contact us at 1 800 974-6006 (Voice/TTY) or visit the VCCD website. 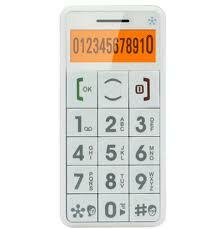 This big button cell phone designed for seniors and the elderly is easy to see and easy to use. The features of the Snapfōn™ ez ONE big button cell phone are very much in demand by seniors and the elderly. A senior or elderly person can even begin using Snapfōn™ ez ONE big button cell phone in just a matter of minutes. The Snapfōn™ ez ONE's most unique feature is an emergency S.O.S. button - perfect for seniors and the elderly. In a matter of a few easy menu steps, the senior or elderly cell phone user can enter up to four names and numbers that will be called when the S.O.S. button is activated. Friends and family can breathe a sign of relief knowing that their senior or elderly family member has this technology in their corner. If there's an emergency, the senior or elderly family member simply presses and holds the S.O.S. button for 5 seconds. This will sound an alert and consecutively call up to 4 programmable numbers until their call is connected. It will even send "Emergency, please answer my call" in a text message to each of these numbers. For your convenience the phone is set to call the local emergency response center when the S.O.S. button is first activated. The first thing you'll notice about the Snapfōn™ ez ONE cell phone for senior and the elderly is the big and bright cell phone keypad buttons. In fact, the cell phone keypad buttons are so BIG and bright the cell phone can be used easily in complete darkness. The Snapfōn™ ez ONE cell phone for senior and the elderly keypad buttons are the largest on the market. Dialing and answering calls is a snap. How's that for EZ? Snapfon is your dream come true if you have been looking for a big button cell phone for a senor or elderly family member. Even if the senior or elderly family member can't see the cell phone keys, they can hear the number as they dial. The senior or elderly cell phone user can set their phone up so that as they type on the keypad, they will hear an audible, clear voice telling them which key they have just pressed. If the senior or elderly cell phone user has pressed a wrong key, they can simply go back and re-enter it correctly. It's like having your very own proofreader. No more mis-dialed numbers! The Snapfōn™ ez ONE cell phone for senior and the elderly is perfectly-sized to fit in the hand, pocket or purse. At just 4 inches long, 2 inches wide and 1/2 an inch thick, the Snapfōn™ ez ONE cell phone for senior and the elderly is the perfect traveling companion. Personal Emergency Response System: SOS Button located on the back of the cell phone that if there's an emergency, the senior or elderly family member can simply press. This will call up to 5 programmable numbers until the call is connected. Just5 offers a cell phone that is designed for seniors and the elderly that require five basic features: ease of operation, big buttons, amplified sound, a long-lasting battery for reliability, and an emergency SOS button. Just5’s cell phone provides large buttons to simplify calling and texting; a digital display for more accurate dialing and texting; a high-volume speaker with amplified sound up to 100dB; a physical switch on the side of the phone to lock and unlock the keypad; an FM radio for convenient listening without a headset; and a handy flashlight and also a speaking keypad. For emergency situations, seniors and the elderly can preset up to five phone numbers for 911, family, friends, doctors, etc. When seniors and the elderly press the emergency SOS button, the phone will text an urgent message (e.g. “I’m having an emergency, please answer”) to these five numbers, then dial them in prioritized order. When dialing, the phone will sound a loud siren to attract the attention of others. Once someone answers a call, the phone automatically switches to loud speaker mode for easier communications. This feature is vital if seniors and the elderly drop the cell phone after pressing the SOS button. Does the Just5 seniors cell phone have good sound? Yes, the Just5 seniors cell phone is loud and clear, up to 100 db. How does the "SOS" button on the back or side of the Just5 seniors cell phone work? This function was specifically created for use in case of emergency. When you press the "SOS" button, the Just5 seniors cell phone will start texting and dialing five pre-programmed phone numbers until one of them is answered. When you are connected, the phone will operate in loudspeaker (hands-free) mode. 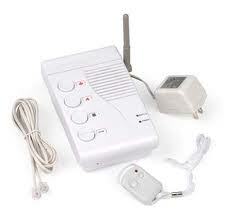 At the same time, while dialing, a loud alarm will sound to attract attention. Why does the Just5 seniors cell phone look just like the Snapfōn™ ez ONE? Not sure if it's the other way around. Honesyly don't know. Most likely Just5 and Snapfōn™ purchased similar models from the same cell phone manufacturer. This is just like when Verizon and AT&T have similar but not exactly the same cell phone models. Think Apple iPhone. If you are looking for a cell phone for seniors and the elderly that is easy to use and easy to read, this is it. Designed by the experts at Doro, an award-winning Swedish company, the PhoneEasy 345 is built for simplicity. The full color display is large and bright, so names and numbers are easy to read. The large separated buttons and backlit keypad make it easy to dial, even in low light. With the vibrating ringer, The senior or elderly user will always know when they have a call. Bluetooth technology lets the senior or elderly user operate hands free devices with their phone. All this and an emergency alarm button too. A speakerphone, flashlight and radio are built into the phone. With a soft, rubberized finish it's also easy to handle. With the PhoneEasy 410, the senior or elderly cell phone user will get a phone that is simple to use, easy to see and easy to handle. The full color display is large and bright, so names and numbers show up clearly. The buttons are large with a backlit keypad, so dialing is easy. The flip design makes this phone easy to use. When the senior or elderly cell phone user wants to talk while their hands are busy, Bluetooth technology lets them use hands free devices. The cell phone can send and receive text messages. The experts at Doro, an award-winning Swedish company, put their best ergonomic expertise into this phone.